(1) Early distributions. If you need to take money out of a traditional IRA before age 59-1/2 (e.g., for education expenses for children, to help make a down payment on a new home, or to meet necessary living expenses if you retire early), any distribution to you will be fully taxable (unless nondeductible contributions were made, in which case part of each payout will be tax-free). In addition, distributions before age 59-1/2 may be subject to a 10% penalty tax. However, there are several ways that the penalty tax (but not the regular income tax) can be avoided, including a method that is tailor-made for individuals who retire early and need to draw cash from their traditional IRAs to supplement other income. (2) Naming beneficiaries. The decision concerning who you wish to designate as beneficiary of your traditional IRA is critically important. This decision affects the minimum amounts you must withdraw from the IRA when you reach age 70-1/2, who will get what remains in the account at your death, and how that IRA balance can be paid out. What’s more, a periodic review of whom you’ve named as IRA beneficiaries is vital to assure that your overall estate planning objectives will be achieved in light of changes in the performance of your IRAs, and in your personal, financial and family situation. (3) Required distributions. Once you attain age 70-1/2, distributions from your traditional IRAs must begin. If you don’t withdraw the minimum amount each year, you may have to pay a 50% penalty tax on what should have been paid out, but wasn’t. 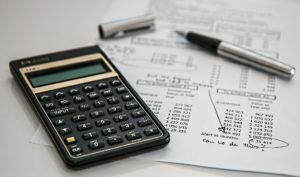 In planning for these required distributions, your income needs must be weighed against the desirable goal of keeping the tax shelter of the IRA going for as long as possible for both yourself and your beneficiaries. If you think it seems easier to put money into a traditional IRA than to take it out, you’re absolutely right. This is one area where expert guidance is essential, and where our firm can be of particular help to you and your family. Call us for an appointment to review your traditional IRAs, and to analyze other aspects of your retirement planning.